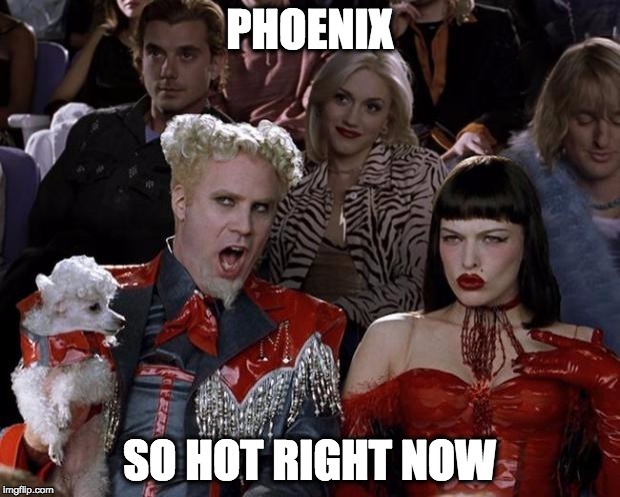 There's plenty of reasons to think Phoenix is hell -- the scenery straight out of Mad Max Beyond Thunderdome principle among them -- but now, the weather has taken it one step closer to being official. 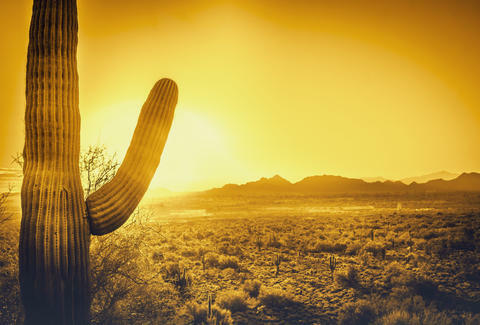 Yes, the US National Weather Service has issued a Heat Warning for the Phoenix area that continues into Wednesday, with temperatures expected to peak at 112 degrees around Phoenix, and 114 in Yuma and other parts of the valley. Who knew that 3:10 to Yuma was actually about the temperature and not a train schedule? Even in the middle of the night, it was 96 degrees. Yeesh. In all seriousness, government officials have issued advice on how to beat the heat (don't live in a desert, maybe? ), including plenty of hydration, wearing loose-fitting clothes, and scheduling activities in the early morning or after sunset. Basically, the National Weather Service wants you to be Puff Daddy in the video for "Juicy." Things turned out well for that guy. Be smart, and stay cool, people. And here's an overdone meme, just because. Ryan Craggs is Thrillist's Senior News Editor. He's a dry kind of hot. Follow him @ryanrcraggs.